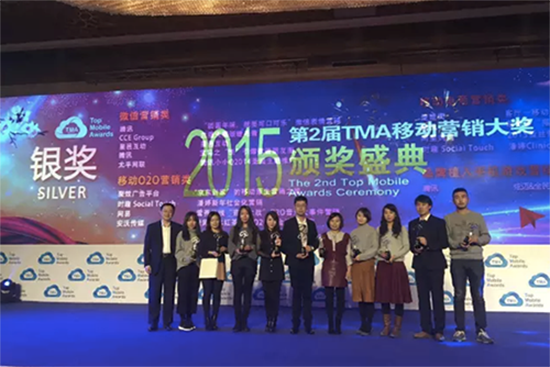 In the past of few days, the highly anticipated ceremony of 2015TMA Top Mobile Awards ended successfully in Wanda Sofitel Hotel Beijing. Chiaus won“ Silver award” of The 2nd Top Mobile Marketing Awards for the marketing case of “2015 Blue Ribbon—To protect the most important people in our life”. As the first awards which concentrate on Mobile Marketing in China, TMA ( Top Mobile Awards) have very strict selection system and strong judge group. Test all angles like technological innovation, creative, media strategy and marketing effect, to explore and spread the value of mobile marketing. As a leading brand of China diapers, Chiaus stand out from the increasing fierce maternity and child product market, its creativity and marketing are classic cases in this field. In China, there are 216000 new mothers increase per day. Before birth, they should do at least 20 antenatal examinations; Before baby go to preschool, they should take their babies to have 22 vaccinates. Chiaus looking at pregnants and mothers’s daily life and found the inconvenience of daily living travel for this special group, aimed at the pain points of this special group in special period, we proposed the public concept “ To help our lovers traveling “. It’s the first time to combined with four cross-industry brands, launched “ 2015 Blue Ribbon million traveling plan”, to look after babies but more care for mothers, to give more attention and concern on mothers and new mothers’ daily life, to protect the most important people in our life”. By the way of micro film, Chiaus “ Blue Ribbon” had vivid recorded three pregnant women’s outdoor traffic problems, it becomes the plotline throughout to last. Through the straight record of micro film, “Blue Ribbon” built this marketing activity and have the emotional resonance with consumers and social group, initiate attention from public to spread them. 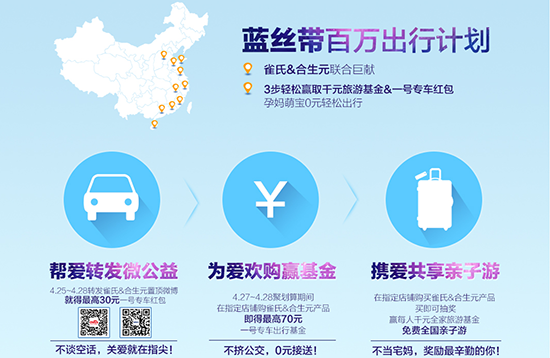 Chiaus “2015 Blue Ribbon million traveling plan” marketing activity, combined with companies, Alibaba, No.1 train and Biostime, through Alimama platform to get big data resources from multi platforms, described pictures of people in need for more accurate launching. The activity online 5 days, brands exposures close to 100 million times; 1.5 million browsers on activity pages; New media propagation covered 30 million trips; 101 thousand discussions happened on internet about “ Blue Ribbon million traveling plan”; Official webs and maternity and babies webs exposures 32,077,941 in total. Along with the growing of internet economy, big data wave is unstoppable. In the new round of completion on internet, Chiaus aggregate multi-access of data, break out from mobile marketing and guide the diaper industries to transition its marketing patten.